What could be better that a free summer concert in the park? Just about nothing! So get down to at least a few of these this summer, you won’t regret it. If you can, think about riding your bike or walking to avoid parking hassles. 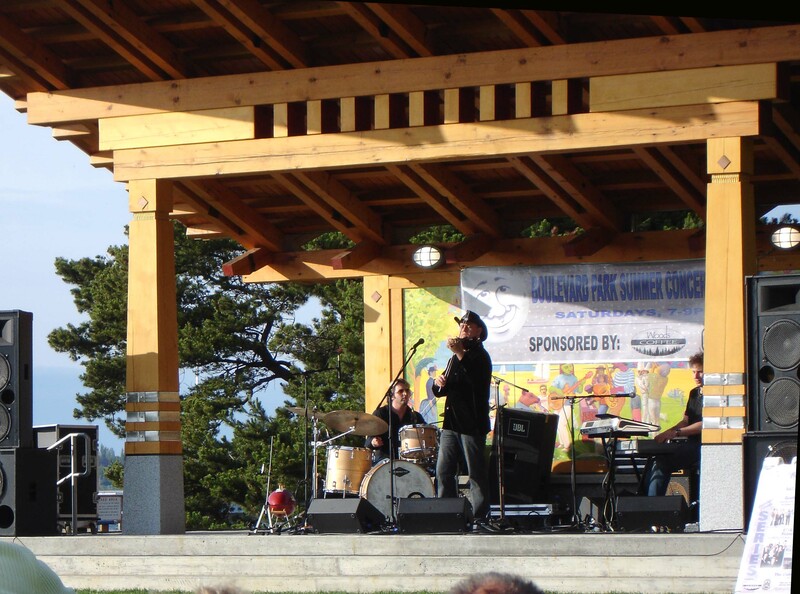 After the jump, there is a list of all the free concerts at Boulevard Park, Big Rock Garden Park, the Brown Bag Children’s Concert Series at the Bellingham Library Lawn, and Elizabeth Park. Enjoy! Saturdays, 7 – 9 p.m.
Sundays, 3:30 – 5 p.m.
Fridays, 12 noon – 1 p.m.
Thursdays, 6 – 8 p.m.
July 22– bandZandt, Classic rock laced with shots of jazz & blues, just right for dancing! I am loving your blog! Great info, interesting things that go on in beautiful Bellingham! Who knew!!! Thanks Elaine! I’m having fun looking into Bellingham happenings and writing about them. There will be some house/real estate posts as I learn more!